I have been on such a citrus-craving kick lately! I'll bet it has to do with the fact that we are in the dead of winter, and the brightly colored oranges, lemons, etc. remind me of sunnier, warmer times. With this citrus obsession on my mind, I headed over to the amazing fruit and vegetable market that is a block away from my apartment to stock up. When I arrived, they were loading in a brand new shipment of gorgeous grapefruits, and I took it as a sign that I had to buy some and make something delicious out of them. 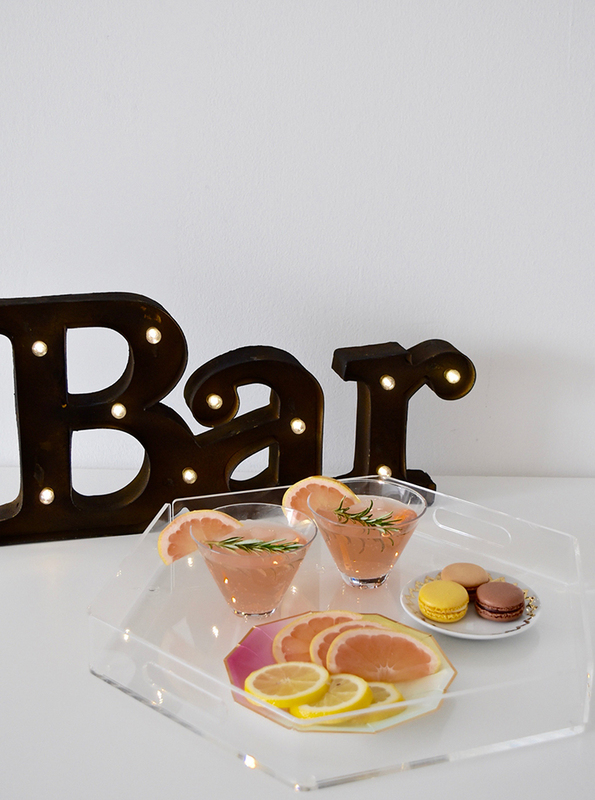 After some playing around and ready my handy cocktail book for inspiration, I decided to whip up this beauty! Here's what to do: 1) Add a few pieces of ice to each glass. 2) Measure out 1.5 oz. of vodka and add to each glass. 3) Juice your lemons, and add 1/2 ounce of fresh lemon juice to each glass. 4) Add 1/2 ounce of your orange liqueur to each glass. 5) Add grapefruit soda to fill each glass to the top. Stir gently with cocktail stirrer to mix all ingredients. 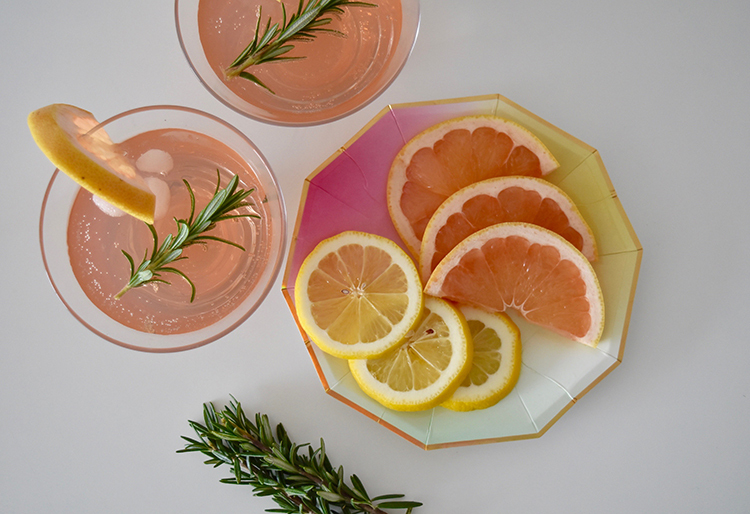 6) Add spring of rosemary and fresh grapefruit wedge to glass to garnish. Enjoy! This drink has the perfect balance of sweet and tart, and is a delicious way to add a little taste of summer to these frigid days. Stay warm, see you next week!